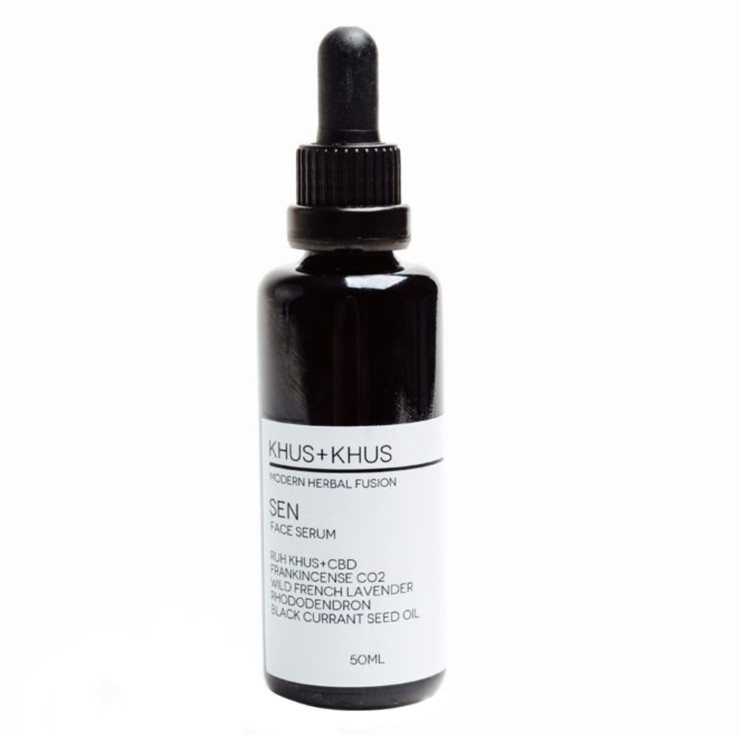 KHUS KHUS SEN Face Serum is uniquely formulated to suit most skin types, from acne to aging. SEN lends a balancing sensation that improves the appearance of hormonal acne and promotes a look of rejuvenation to loose, depleted skin. Somalian frankincense diminishes the appearance of scars and imperfections, and promotes smooth, youthful-looking skin. Wild French lavender offers a calming and regenerative sensation, while Nepal rhododendron provides a de-stressing feel to the complexion. Finally, black current seed and buriti oils visibly improve elasticity, moisture, and luminescence. Gently press the calming serum into clean skin on face and neck both morning and night for a beautiful, glowing appearance. Follow up by applying daily or nighttime moisture if needed. Camellia Oleifera (Camellia)*, Ribes Nigrum (Black Currant Seed Oil), Squalane (Olive Derived), Mauritia Flexuosa (Burti), Lavandula Angustifolia (Wild Lavender), Boswellia Serrata (Frankincense Co2), Ecocert Hemp Extract Co2, Rhododendron Anthopogon, Vetiveria Zzanoides (Vetiver)*, Vit E Mixed Tocopherols Non-GMO Sourced.